Gorden Sunderland Campbell was born on 5th July 1905. After serving as a US Army colonel, he was a Central Intelligence Agency contract agent who was based at the CIA's Miami station, of JM/WAVE. According to Bradley E. Ayers, Campbell was a close associate of Theodore Shackley. Rudy Enders, a retired CIA officer, claims that Campbell helped the agency ferry anti-Castro guerrillas across the straits of Florida. Joannides at the Ambassador Hotel on the night Robert F. Kennedy was assassinated. Journalist Jefferson Morley who uncovered the Joannides story - and the only known autheticated photos of Joannides - asserts emphatically and unequivocally that neither Gordon Campbell nor George Joannides are the men depicted in this photograph. Morley notes that Campbell died in 1962 and that there is no corroborated evidence that Joannides was in Los Angeles in June 1968. 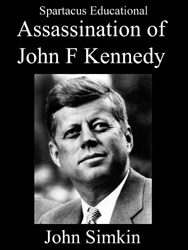 In a letter sent to John R. Tunheim in 1994, Bradley E. Ayers claimed that nine people based at JM/WAVE "have intimate operational knowledge of the circumstances surrounding the assassination" of John F. Kennedy. Ayers named Gorden Campbell, Grayston Lynch, Theodore Shackley, Felix Rodriguez, Thomas Clines, David Morales, Rip Robertson, Edward Roderick and Tony Sforza as the men who had this information. Bradley E. Ayers was interviewed by Jeremy Gunn of the Assassination Records Review Board in May, 1995. According to Gunn: “Ayers claims to have found in the course of his private investigative work, a credible witness who can put David Morales inside the Ambassador Hotel in Los Angeles on the night of June 5, 1968 (RFK’s assassination)." While researching a documentary, Shane O'Sullivan discovered a news film of the Ambassador Hotel on the day Robert F. Kennedy was assassinated. Bradley E. Ayers and other people who knew them, identified David Sanchez Morales, Gordon Campbell and George Joannides as being three men in the hotel that day. An article about this story appeared in The Guardian and on BBC Newsnight on 20th November, 2006. David Talbot and Jefferson Morley researched this story in 2007. They reported that: "Gordon Campbell, it turns out, was not the deputy station chief in the CIA's Miami operation, as O'Sullivan reported. He was a yachtsman and Army colonel who served as a contract agent helping the agency ferry anti-Castro guerrillas across the straits of Florida, according to Rudy Enders, a retired CIA officer, and two other people who knew him. He could not have been at the scene of Bobby's Kennedy's assassination on June 5, 1968 because he died in 1962.... Campbell's death certificate, which identified him as a "maritime adviser," states he passed away on Sept. 19, 1962." Over the past several months I have furnished your staff with details of my background and other materials which I trust have provided you with some perspective for the information I hope to personally convey. Assuming you have read or been briefed on the essence of this history, I will not dwell upon it here. However, I take this opportunity to convey copies of two documents which I recently received that relate directly to our discussion of this date. They are self-explanatory. With the context of our meeting hopefully established, I wish to call your attention to the following specifics which I urge you and the Board to be alert for and to pursue within the framework of your mandate. These areas of interest and individual identifications are recommended as adf.rect result of my experience with the CIA/JMWAVE Miami station during the period immediately preceding and following the death of JFK and my synthesis of other information developed since that experience. Further, I invite your attention to the forthcoming issue of Vanity Fair Magazine (October issue) which I am advised will contain an article by Tony Summers, a highly credible journalist/author (CONSPIRACY) that will offer certain revelations complimenting the recommendations made in this communication. I know for a fact that Summers has been diligently pursuing lines of inquiry that may be relevant to the work of the Board and may be useful in unscrambling and evaluating the JFK related documents produced by the CIA and other government agencies. I hope the information I've provided is helpful to the Board and I remain prepared to testify under oath to any aspect of my activities should that be desired. Ayers was an infantry officer in the U.S. Army during the early 1960's, specializing in paramilitary training. In early 1963, (records checks indicate it was in early April) Ayers was "loaned" by the Army to the CIA, which assigned him to the JMWAVE station. Ayers' job was to train Cuban exiles and prepare them for an invasion of Cuba. This much of his story is borne out by checks of his military and CIA files. From here, the veracity of Ayers' claims are less easy to discern. He claims to have seen many figures at JMWAVE who were not there, according to the official record; these include Johnny Roselli and William Harvey (former Task Force W /SAS chief for CIA, who was removed from that position by Kennedy after Harvey overstepped his authority after the Missile Crisis). Ayers also claims to have gone on several raiding missions with his proteges, and to have come under fire from Castro's forces in the summer of 1963. This is significant because according to the official record, all government sanctioned action against Castro had ceased by that point. Ayers says that many of his colleagues at the JMWAVE station built up a strong resentment of President Kennedy, and says that he believes several of them to have played roles in the assassination. Foremost among these, he says, was David Morales, the operations officer for CIA in Miami. The HSCA interviewed Ayers, and performed searches for his records. In doing so, they discovered five sealed envelopes in his file, which HSCA staff was not allowed access to. The envelopes have ben the source of some speculation among those in the research community who believe Ayers' story. On May 12, I interviewed Ayers at his home outside of St. Paul, Minnesota. At that point, the questions were based on information obtained from open sources only, as few of the staff had their clearances yet. The role and activities of Deputy Chief of Station, Gordon Campbell: (this was stricken from the original manuscript) this individual played a major behind-the-scenes role at and outside the JMWAVE station. While he was Shackley's deputy, he also appeared to function with a good deal of independence and have his own agenda. He became the author's case officer for the Elliot Key refinery raid which seemed to evolve beyond the station's normal paramilitary/operational structure. 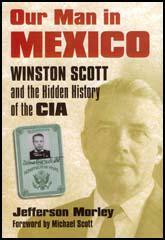 Campbell was unique, physically impressive, polished, had extensive background and experience in CIA's history in anti-Castro operations, particularly maritime. It is believed he had an ONI-naval background, had a somewhat flamboyant lifestyle and was known as Mr Bishop by some of the station. We spent six weeks interviewing dozens of people from Washington DC to Florida to California and Arizona who knew Joannides, Morales and Campbell at different times in their lives. We spoke with former CIA colleagues, retired State Department officials, personal friends and family members. Gordon Campbell, it turns out, was not the deputy station chief in the CIA's Miami operation, as O'Sullivan reported. He was a yachtsman and Army colonel who served as a contract agent helping the agency ferry anti-Castro guerrillas across the straits of Florida, according to Rudy Enders, a retired CIA officer, and two other people who knew him. 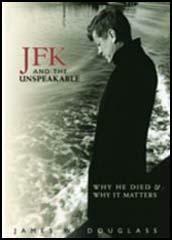 He could not have been at the scene of Bobby's Kennedy's assassination on June 5, 1968 because he died in 1962. "I was right there when he died," said Enders in a telephone interview. "He was getting a drink at the drinking fountain in Zenith Technical Services (the cover name for the CIA's offices) in Miami. He stood up and started shaking and he collapsed and we tried to revive him. We gave him mouth to mouth to resuscitation and it just didn't work. It was a real bad heart attack." Campbell's death certificate, which identified him as a "maritime adviser," states he passed away on Sept. 19, 1962.